Copper mining at Parys Mountain dates back to the early Bronze Age. In the 18th Century mining started to proceed a pace when the Great Lode was discovered on March 2, 1768 and within 12 years the mine was dominating the world’s copper trade and was once the world’s largest copper mine. Though mining continued through the 19th Century the mine gradually declined. 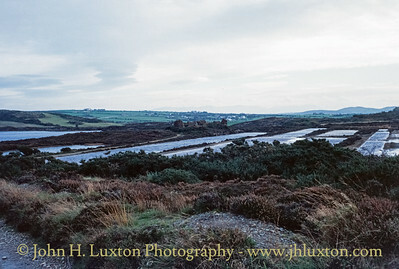 However, Anglesey Mining Plc still own mining rights in the area. 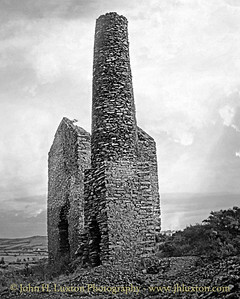 Since these photographs were taken the engine house has been conserved, trails opened up and a heritage centre opened at the nearby port of Amlwch. 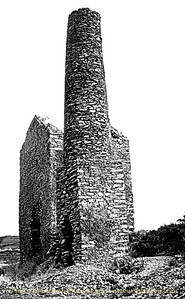 The Pearl Shaft Engine House was built in 1819 with its 18” engine having been constructed by the Neath Abbey Iron Works. This engine was replaced by a more powerful 24” Cornish Engine from Williams Perran Foundry in Cornwall which operated until around 1880. Precipitation ponds - Parys Mountain Mine. Pear Shaft Engine House - the building has since been conserved. 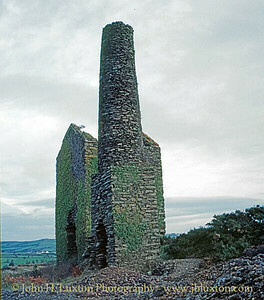 The Pearl Shaft Engine House and the remains of the windmill on the skyline which was also used for pumping at Parys Mountain.